Welcome to my family history website. If you are arriving here from offsite then you may want to begin here. This page tells the story of the family of Jessie Brown Duncan's mother, Margaret Harten Hunter. The Hunter family were a very poor working class family from Glasgow, Lanark, Scotland whose ancestors came from Antrim, Ireland where their ancestry can be traced back to the early 1800s. Please Note: This page is intended only as a narrative historical overview of this family. There is additional detailed information available for almost ever person presented on this page. To avoid the unnecessary work of double-entering some data, the additional information can be found in the accompanying GEDCOM database. Please make sure you click on the INDEX button at the bottom of the page so you don't miss out on potentially valuable additional information. This page was substantially corrected and updated in February 2006. For those who are wondering how the origins of the this family could be so different than originally presented here, well the answer is quite simply. The presentation of the Hunter family previously shown here represented some of my earliest genealogical research. Honestly, it was full of errors. Since that time I have learned a great deal more about genealogy research, and it was not until 2006 that I had time to go back and recheck some of my earlier research on this family. You should find the information presented below to be substantially more reliable and accurate. The name Hunter is an occupational surname relating to an early ancestor who hunted. In Scotland the name has its origins in those who were appointed as officers of the royal hunt. The office became hereditary and Clan Hunter is derived from the office of Royal Huntsman. Click here to learn more about surnames. The following is from the History of Clan Hunter, by Tom Hunter, Hunter Clan Officer for Canada and very close family friend. The first Hunters arrived in Ayrshire in the opening years of the 12th century. Experts in hunting and field craft with generations of experience in the forests of their land of origin, these Norman lords were invited to Scotland by Scottish King David I who was himself brought up in the Norman court. In papers relating to the King's Inquisition in 1116, we find mention of WILLIELMO VENATOR (William the Hunter - 1st Laird) who was appointed as Royal Huntsman while his wife had the honour of serving Queen Matilda as a lady-in-waiting. William put his expertise to good use in the wild forests and fens, then rich with wildlife, which surrounded the site of the timber fortress, which was to become Hunter's Toun (now Hunterston, Ayrshire). As recognition of his family's skills, the title of Royal Huntsman became a hereditary appointment. In the mid-thirteenth century King Alexander III of Scotland urged his liegemen to build in stone against possible incursion by Norsemen. It was probably about this time that the pele-tower of Hunterston Castle was constructed. From this stronghold the family, allied with other powerful neighbours, faced down the aggression of King Hakon of Norway and drove him to defeat at the Battle of Largs in 1263. It sheltered them throughout the turbulent War of Independence, from which they emerged with their lands intact, having probably supported William Wallace and certainly Robert the Bruce. In 1374 the great king's grandson Robert Stewart, King Robert II (an ancestor of this author via the Stewart Family), granted William Hunter (10th Laird) a charter of lands for faithful services rendered. The family still possesses this ancient document. For many years, the Hunters continued to serve the Scottish Crown as Royal Huntsmen and as soldiers, sometimes at great cost. 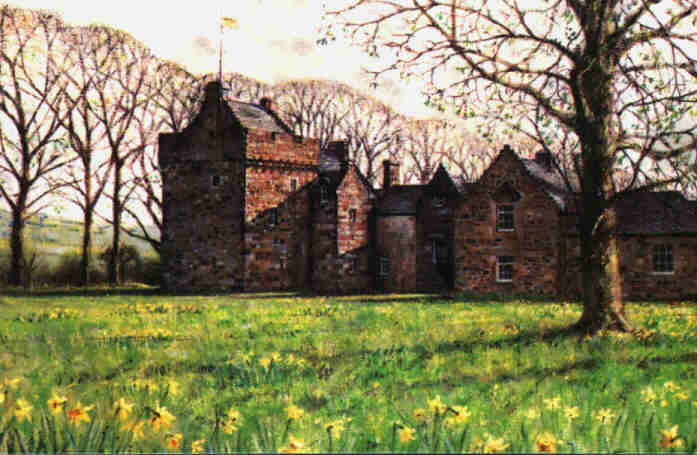 The castle of Hunterston is located near the coast of the Firth of Clyde in North Ayrshire. It is one of the very few Scottish castles that is still in the hands of the original family. A Hunter has lived in Hunterston for over 800 years! Whether or not our family is descended originally from the Hunters of Hunterston may never be known although it is an entirely reasonable possibility. However, our family enters known history in the early 19th century in Belfast, Antrim, Ireland. Our Hunters were Ulster-Scots, meaning that they were descended from Scottish settlers who had likely been sent to Northern Ireland as part of the British government's settlement strategy. For a further description of the Ulster-Scots in Glasgow in the 19th century, please refer to the Duncan Family Page. Thus our Hunter ancestors were almost certainly Scottish, and probably Lowland in origin, however it may be a very long time before those origins can be verified, if ever. For now, we know that our Hunter family were living in Belfast at the turn of the 19th century. Our earliest known ancestor was William Hunter in Belfast. William HUNTER b: 1841 in Ireland, probably Belfast, Antrim. His information is presented below. William HUNTER b: 1841 in Ireland, probably Belfast, Antrim, shown above as the son of William Hunter and Mary Law. William Hunter was born in Ireland, probably in Belfast, Antrim. He married in 1864 in Belfast, Antrim, Ireland to Mary Harten and their first known child was born in Belfast in 1866. Their second known child was born in Glasgow, Lanark, Scotland in 1868 suggesting that William and his wife and infant daughter immigrated to Scotland in 1867. As William's parents have not been found in any Scottish census records it seems likely that they remained in Ireland. William's reasons for immigrating from Belfast to Glasgow are unknown, but given the economic climate of that day it is likely that he was seeking better employment opportunities. 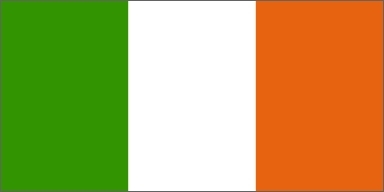 Ireland GRO gives date of marriage as 10 MAR 1864. Margaret Harton Hunter's birth record shows her parents marriage date as 10 MAR 1863. The 1864 date is preferred as the GRO entry is more likely to be accurate and it is closer to the birth date of their first child. No death record has been found for William Hunter in Scotland. He may have returned to Ireland. Mary HUNTER b: 11 AUG 1866 in Whitehouse District, Belfast, Antrim, Ireland. Janet Duncan's notes indicate that Mary died in Scotland. As Janet recalled Mary, then Mary must have lived to adulthood. 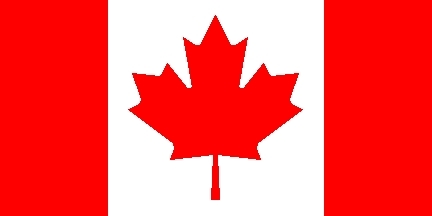 She is not found in the 1891 census with her family and is presumed to have married. Their descendants are presented on the DUNCAN Family Page. William HUNTER b: 25 SEP 1869 in Bridgeton, Glasgow, Lanark, Scotland. He died as an infant in 1870. William James HUNTER b: 18 DEC 1870 in Bridgeton, Glasgow, Lanark, Scotland. William is recalled in Janet Duncan's notes and therefore is presumed to have lived to adulthood. Janet says that William died in Scotland. Elizabeth HUNTER b: 27 OCT 1872 in Bridgeton, Glasgow, Lanark, Scotland. Elizabeth is not recalled by Janet, thus it is presumed that she did not live to adulthood. Thomas HUNTER b: 30 MAY 1874 in Bridgeton, Glasgow, Lanark, Scotland. Thomas is not recalled by Janet Duncan nor is he found with the family in the 1881 census so he is presumed to have died as a child. Jane HUNTER b: 1876 in Glasgow, Lanark, Scotland. Jean is recalled by Janet Duncan, thus it is presumed that she lived to adulthood. Janet claimed that Jean died in Scotland. Jean is recorded as "Jannie" in the Harten family letter. William Hunter died BET 1876-1880. Margaret Harton married secondly on 16 NOV 1880 in Dennistoun, Glasgow, Lanark, Scotland to Thomas GILLILLAND (possibly a corruption of the Gaelic gille Fhillan or "servant of St. Fillan"). In 1881 Margaret was living with her second husband and the children of her first marriage. Margaret had no known children with her second husband. David HARTEN b: ABT 1803 in Probably County Monaghan, Ireland. David Harten was probably born in County Monaghan, Ireland. His son William Harten's Ancestral File claims that David was born in Barnhill, Lanark, Scotland, and died in "Poorhouse" Springburn, Lanark, Scotland, but this is a mistaken reading of his death certificate. The name of the poorhouse in Springburn is "Barnhill". His death certificate shows his place of birth as "unknown" and his parents' names as "unknown". As he lived most of his life in Whitehouse District, Belfast, Antrim, Ireland and was married in County Monaghan, Ireland, then it seems far more likely that he, like his wife, also came from County Monaghan. Family correspondence indicates that David's wife, Mary Ann Jackson, died in Whitehouse District, Belfast. David is not found in Scottish census records for 1861 or 1871, thus it is presumed that he lived nearly his entire life in Ireland and only came to Glasgow sometime between 1871-1873 after his wife died and presumably to be with his daughter and her family. According to David's only surviving son, William, David had a very large family with many sons. All of his sons except for William are said to have died in the Crimean War (ca. 1854-1856). David's official cause of death is recorded as "softening of the brain". His grandson noted the following: "He was a very small, reserved man. While sitting on a bench in Glasgow Green, he toppled over dead. No cause of death could be found at the inquest. So, after he was buried, his body was lifted for medical purposes, and it was found that his brain had gone to liquid." David Harten and Ann had a nice home and a large farm in scotland. Because of the people they were, a man that worked on there farm , need to be baled out of jail , the man ran away and David had to sell the house and the farm to payoff that bill. So he went to work at the whighthouse which was for poor people work. It was allso the poor house, the would buried them to. When sitting on a bench in Glasglow David fell dead after the funral his boby was taken for Medical purposes and found that he's brain had turned to liquid. David brother's were killed in the Criman War. David was a small man died about 1874. Several Sons HARTEN b: BET 1825 AND 1845 in Ireland. According to David's only surviving son, William, David had a very large family with many sons. All of his sons except for William are said to have died in the Crimean War (ca. 1854-1856). Margaret HARTEN b: 1845 in Tremore, Tyrone, Ulster, Ireland. Margaret came from a very poor family. All but one of her brothers died in the Crimean War. We know that Margaret could not write as she only made her mark on her daughter, Margaret's, birth registration. The marriage record for Margaret and her second husband, Thomas Gilliland, indicates that her parents' names were William & Mary Harten. However, Harten family correspondence confirms that Margaret's parents were David Harten and Mary Ann Jackson from Belfast, Ireland. The error in the marriage record was likely caused by Thomas Gilliland giving the testimony and mistaking his wife's living in-laws for her deceased parents' names. As Margaret presumably could not read as well as write then it is presumed she did not notice the error. Margaret Harten married firstly on 10 MAR 1864 in Belfast, Antrim, Ireland to William HUNTER b: 1841 in Ireland, probably Belfast, Antrim. They began their family in Belfast and then moved to Glasgow, Scotland. William died BET 1876-1880 in Glasgow, Lanark, Scotland. Margaret married secondly on 16 NOV 1880 in Dennistoun, Glasgow, Lanark, Scotland to Thomas GILLILAND b: 1837 in Ireland. Margaret had no known children by her second husband. The children of Margaret's first marriage to William Hunter are presented above in the Hunter section. William HARTEN b: 1870 in Belfast, Antrim, Ulster, Ireland. He presumably died in childhood prior to the birth of his same-named brother in 1874. William HARTEN b: 7 NOV 1874 in Glasgow, Lanark, Scotland. William worked in the shipyard in Belfast for the White Star Line and helped build the Titanic. He was supposed to sail on it as well, but Mormon missionaries talked him into a later sailing. He immigrated to Idaho, USA on the ship, Corsican, on 28 JUN 1913. William and Jennie were childhood friends who married young and were happy together. She was 3 months pregnant when they married. They had seven children, only three survived to adulthood. John HARTEN b: 8 NOV 1895 in Belfast, Antrim, Ulster, Ireland. He died in infancy. William HARTEN b: 1899 in Belfast, Antrim, Ulster, Ireland. He died in childhood. Kathleen HARTEN b: 1900 in Belfast, Antrim, Ulster, Ireland. She died in infancy. Daughter HARTEN b: 1901 in Belfast, Antrim, Ulster, Ireland. She died in infancy. Kathleen HARTEN b: 25 JAN 1915 in Preston, Franklin, Idaho, USA. She died at birth. * Note: According to descendant Beverly Jackson, William was not a bigamist and his marriage to Annie Rea took place after the death of Jennie Gipson, however this conflicts with the dates shown above which were sent to me by Beverly, stating that Jennie Gipson died in SEP 1903 while William married Annie Rea two years prior in 1901. I am awaiting clarification on this matter from Beverly. Janet Orr Duncan, daughter of Robert Wilson Duncan and Margaret Harton Hunter (shown above), prepared a family tree, probably sometime in the 1960s. My mother, niece of Janet Duncan, had a copy of this tree which I recall first seeing as a very young boy. (The tree is currently in my possession.) Janet's family tree was my first source document from which I began my genealogical research. You will note Janet's tree is referred to frequently above and on the Duncan Family Page. Subsequent research has revealed that Janet made some minor errors in her tree and these errors have been identified above. People researching this family include the following. If you wish your name added to the fellow researchers' list, please contact me. 2. then select the first letter of the surname you are looking for. The index button will take you to my searchable GEDCOM database hosted by RootsWeb's World Connect Project. This allows you to download my GEDCOM in 10-generation chunks. Then you can import my data directly into your own genealogy program without having to retype it. = This person has known descendants. Where it precedes a precise date of birth, such as "ABT 3 DEC 1855", then it means that the person was baptized on 3 DEC 1795, but his/her exact date of birth is unknown. Where it precedes a semi-precise date of birth with the month only given, such as "ABT DEC 1855", then that means that the birth is recorded in the civil birth registrations for the quarter ending with that month. Thus the person's birth was registered sometime between the beginning of October 1855 and the end of December 1855, but no baptism record has been found nor any more precise birth record. Where it precedes a year only, such as "ABT 1855", then it means that there is no information on the person's birth date at all and an educated guess has been made that he/she was probably born sometime around 1855. I will no longer be accepting genealogical inquiries via email. and I will be pleased to respond to you there.